Enterprise Resource Planning (ERP) cover's the techniques and concepts employed for the integrated management of business as a whole for the view point of the effective use of management resource and improve the efficiency of an enterprise. ERP packages are integrated (covering all business function) software packages that support the above ERP concepts. Solution to Business (S2B) software that integrates departments and functions across a company into one computer system. Solution to Business (S2B) is a multi-module application software that runs off a single database, enabling various departments to share information and communicate with each other. This software is extremely useful for managing business. The important parts of its business are product planning, parts purchasing, maintaining inventories, interacting with suppliers and providing customer service. S2B systems comprise function-specific modules designed to interact with the other modules, e.g. 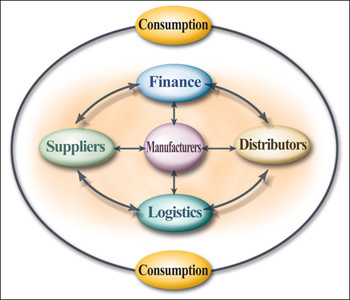 Finance, Inventory Management, Sales & Distribution, Logistic, Personal Management ,CRM (Customer Relationship Management) etc.